If you’ve read through The Exercise Coach Nutrition Playbook, you know that we are advocates of unrefined, organic coconut oil. We add it to our green smoothies, slather it on our dry skin, and even swallow a spoonful for the yummy taste (and nutrients!). And it seems America is catching on as well—even Costco sells giant tubs of organic, unrefined coconut oil. Hooray! Once avoided due to its high saturated fat content, we are now enjoying and discovering the many potential health benefits of this tropical delight. It’s important, however, to do your research. Some sources are calling coconut oil a miracle food, supporting that coconut oil can help with anything from Autism to Alzheimer’s. We too, believe there will be more important uses for coconut oil emerging and eagerly await the studies. However, according to Dr. Oz, coconut oil has “super powers.” And still others claim that it is the next “lose weight quick” product. While much of this is truly exciting information and absolutely worth learning about, it’s important to stick with the research we currently understand and use our common sense. 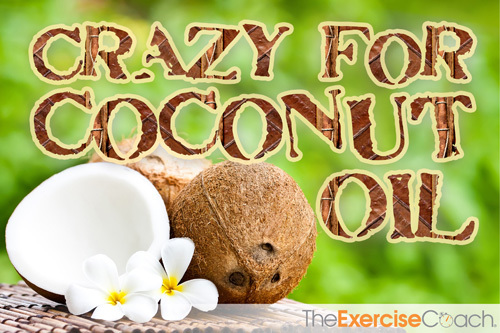 While coconuts and coconut oil are in fact “health” foods, it seems best to simply categorize them as another great tool in our “healthy-for-you” toolbox. SO WHAT IS COCONUT OIL? Coconut oil comes from processing copra, the dried kernel of the coconut. It is composed of approximately 92% saturated fat, 6% monounsaturated fat, and 2% polyunsaturated (want to learn more about fatty acids?). Saturated fat has unfairly and incorrectly been touted as the culprit behind heart disease. Depending on the source, saturated fat is not necessarily a bad thing, since there are different types and sources of saturated fat. In fact, your body needs some of these good sources as shown in our blog post: The Truth About Cholesterol: Where Did We Go Wrong? Coconut oil contains a type of saturated fat called lauric acid, which is a medium chain triglyceride (MCT). MCTs are absorbed more quickly in the body than other fats because of their chemical composition. That makes them a good source of energy that the body can use immediately (read: less potential for it to be stored as body fat). Plus, there is good evidence indicating lauric acid may be antimicrobial, meaning it can interfere with the replication of viruses, bacteria, and some types of fungi. That means it may help our immune systems fight off the flu and other unwanted bacterial or viral illnesses. Unrefined, virgin organic coconut oil is also a more stable cooking oil with a high smoking point. This means that it is safer to cook with than other oils. Coconut oil will not “change” in the heating process and thus, won’t produce as many free radicals and/or turn into unhealthy trans-fat. And, it is a delicious source of good fat. Further, coconuts and coconut oil are not new; they have been consumed for thousands of years in tropical countries where traditional diets are found to be quite healthful. While the research thus far is very exciting, I’m waiting a bit on touting coconut oil or any healthy product as “miraculous.” I believe coconut oil is a good source of healthy fat in the diet that provides a variety of health benefits. Healthy fat is our friend at The Exercise Coach®, and your body needs it. So feed it well and consider adding coconut oil to your daily routine.